Warner Bros. has released a new preview for Godzilla: King of the Monsters, offering more footage of the giant Titans in action while an ominous version of "Somewhere Over the Rainbow" plays over the carnage. 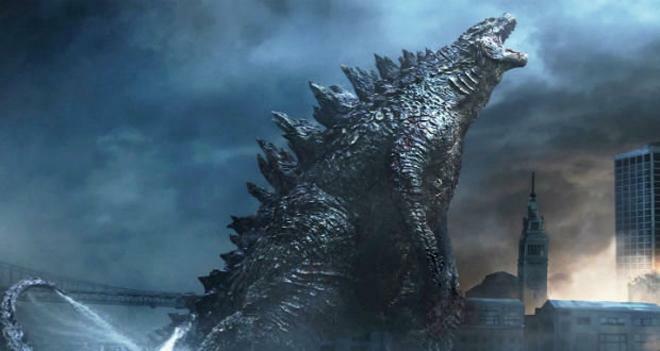 The film serves as a sequel to 2014's Godzilla, and is set to hit theaters on May 31, 2019. Following the global success of Godzilla and Kong: Skull Island comes the next chapter in Warner Bros. Pictures’ and Legendary Pictures' cinematic MonsterVerse, an epic action adventure that pits Godzilla against some of the most popular monsters in pop culture history. The new story follows the heroic efforts of the crypto-zoological agency Monarch as its members face off against a battery of god-sized monsters, including the mighty Godzilla, who collides with Mothra, Rodan, and his ultimate nemesis, the three-headed King Ghidorah. When these ancient super-species—thought to be mere myths—rise again, they all vie for supremacy, leaving humanity’s very existence hanging in the balance. Check out the new preview below! Godzilla: King of the Monsters comes from director Michael Dougherty (Krampus, Trick 'r Treat) and a script by Dougherty, Max Borenstein, and Zach Shields. The cast includes Millie Bobby Brown as Madison Russell, Vera Farmiga as Dr. Emma Russell, Bradley Whitford as Dr. Stanton, Sally Hawkins as Dr. Vivienne Graham, Kyle Chandler as Mark Russell, and Ken Watanabe as Dr. Ishiro Serizawa, along with Charles Dance, Ziyi Zhang, and Thomas Middleditch. The film will be the third entry in Warner Bros. and Legendary Pictures' MonsterVerse franchise, following 2014's Godzilla and 2017's Kong Skull Island. A fourth film, currently titled Godzilla vs. Kong, is scheduled to arrive on May 22, 2020 from director Adam Wingard.